Thursday, January 31st at 7:30 p.m.
Gabrielle Calvocoressi is the author of The Last Time I Saw Amelia Earhart, Apocalyptic Swing (a finalist for the LA Times Book Prize), and Rocket Fantastic, winner of the Audre Lorde Award for Lesbian Poetry. The recipient of numerous awards and fellowships including a Stegner Fellowship and Jones Lectureship from Stanford University; a Rona Jaffe Woman Writer's Award; a Lannan Foundation residency in Marfa, TX; the Bernard F. Conners Prize from The Paris Review; and a residency from the Civitella di Ranieri Foundation, among others. Calvocoressi is an Editor at Large at Los Angeles Review of Books, and Poetry Editor at Southern Cultures. Works in progress include a non-fiction book entitled, The Year I Didn't Kill Myself and a novel, The Alderman of the Graveyard. Calvocoressi teaches at UNC Chapel Hill and lives in Carrboro, NC, where joy, compassion, and social justice are at the center of their personal and poetic practice. Sunday Feb 3 at 3-5 p.m. This event is free and open to the public in the Lilly Auditorium of the University Library. Refreshments will also be served. Books for sale provided by Barnes & Noble @ IUPUI. R.O. 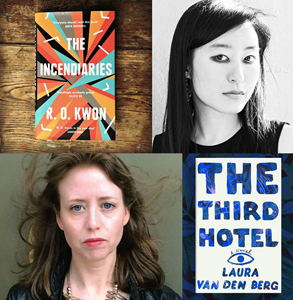 Kwon is the author of The Incendiaries, published by Riverhead (U.S.) and Virago (U.K.). The Incendiaries is an American Booksellers Association Indie Next #1 Great Read and Indies Introduce selection, and it was named a best book of the year by over forty publications. The novel is a finalist for the National Book Critics Circle John Leonard Award for Best First Book and Northern California Independent Booksellers Association Fiction Prize, and is nominated for the Aspen Prize and American Library Association Carnegie Medal. The Incendiaries is being translated into four languages. Kwon’s writing has appeared in The Guardian, Vice, BuzzFeed, Noon, The Cut, Time, and elsewhere. She has received awards and fellowships from the National Endowment for the Arts, Yaddo, MacDowell, the Bread Loaf Writers' Conference, and the Sewanee Writers' Conference. Born in South Korea, she has mostly lived in the United States. Laura van den Berg was born and raised in Florida. She is the author of two collections of stories, The Isle of Youth (FSG, 2013) and What the World Will Look Like When All the Water Leaves Us (Dzanc Books, 2009), and the novel Find Me (FSG, 2015). Farrar, Straus and Giroux will publish her next novel, The Third Hotel, in August 2018. Laura’s honors include the Rosenthal Family Foundation Award from the American Academy of Arts & Letters, the Bard Fiction Prize, a MacDowell Colony Fellowship, a Civitella Ranieri Foundation Fellowship, a Pushcart Prize, an O. Henry Award, and the Jeannette Haien Ballard Writer’s Prize, a $25,000 annual prize given to “a young writer of proven excellence in poetry or prose.” Her debut collection was selected for the Barnes & Noble “Discover Great New Writers” program, and she has twice been shortlisted for the Frank O’Connor International Short Story Award. The Isle of Youth was named a “Best Book of 2013” by over a dozen outlets, including NPR, The Boston Globe, and O, The Oprah Magazine. Find Me was selected as a “Best Book of 2015” by NPR, Time Out New York, and BuzzFeed, and longlisted for the 2016 International Dylan Thomas Prize. 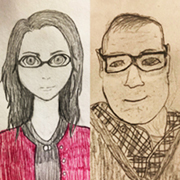 February 6, 2019 7:30 p.m.-8:30 p.m.
Every year, the Creative Writing Program at Ball State features two of its faculty who write in a particular genre. This year, that will be creative nonfiction writers Jill Christman and Todd McKinney. Todd McKinney teaches a variety of classes for the Ball State English Department, including workshops in creative nonfiction and has served as the faculty advisor for the Writers Community since its inception in 2007. He has published work in a variety of journals including The Cimarron Review, SmartishPace, Monkey Bicycle, and elsewhere. His chapbook, A Matter of Public Record was published in 2007. Lylanne Musselman is an award-winning poet, playwright, and artist, living in Indiana. Her work has appeared in Pank, Flying Island, Tipton Poetry Journal, The New Verse News, and The Ekphrastic Review, among others, and many anthologies. Musselman is the author of five chapbooks, including the recent Red Mare 16 (Red Mare Press, 2018), a co-author of the volume of poetry, Company of Women New and Selected Poems, (Chatter House Press, 2013) and author of the new full-length poetry collection, It’s Not Love, Unfortunately (Chatter House Press, 2018). The #IconoSlam takes place every second Thursday of the month with Dante as your host. 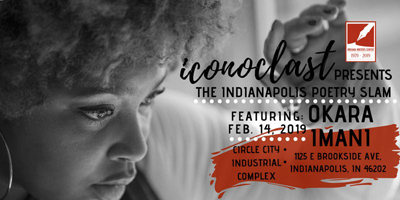 This month, we will be at the Circle City Industrial Complex in the Schwitzer Gallery! Doors at 7, show at 7:30, and it's ONLY $5! Devon Ginn and Dante Fratturo facilitate an inclusive, safe space for artists to do & say whatever the f** they want. The open mic/ slam is first come, first served. There is a cash prize for the slam winner. Competing in the slam provides an opportunity to represent Indianapolis on the national stage! Tickets will be available online and at the door (cash only) until 8 PM the day of the show. This event is brought to you by the Indiana Writers Center and the Circle City Industrial Complex. February 14th's featured artist is Okara Imani!